Blackberry watermelon, rhubarb orange blossom and sour cherry rose. 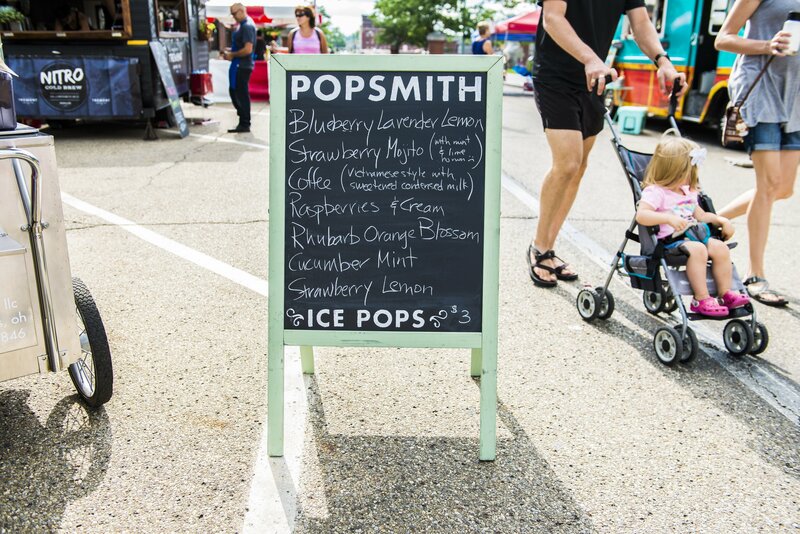 If you’re familiar with Popsmith, you know these are just some of the weird and wacky flavors they offer to Akronites on hot summer days. Made from locally grown fruit, Tim and Beth Knorr have been offering these tasty summertime treats since 2013. Tim and Beth began making the popsicles for their kids 5 years ago. They also used the popsicles as a way for Tim to cool off after his runs. Once Tim began experimenting with flavors, Popsmith was formed. 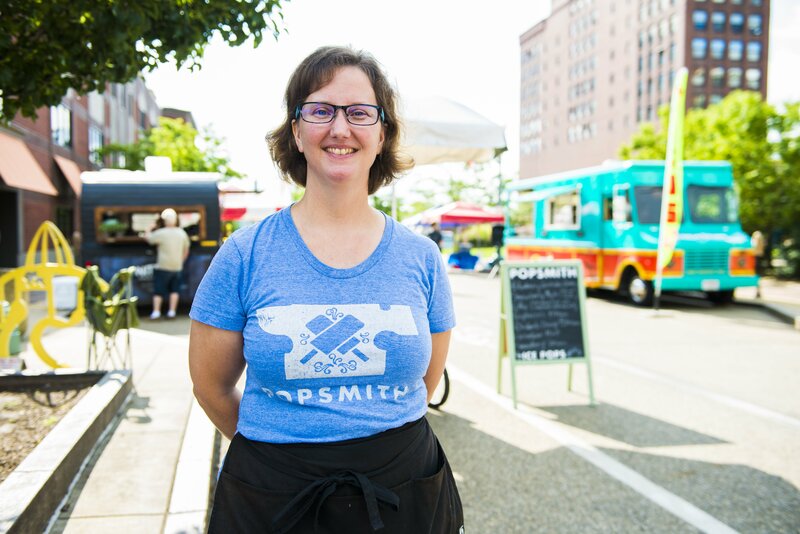 If you haven’t tried Popsmith, check them out at Porch Rokr on Saturday, August 19 in Highland Square. In the meantime, view our video about Popsmith on The Devil Strip Facebook page.